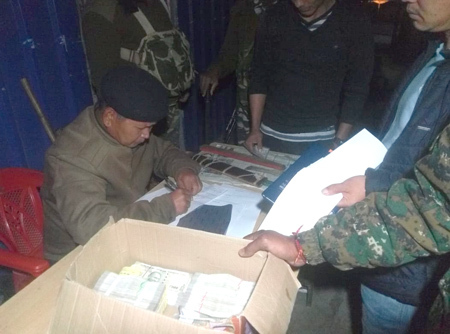 ITANAGAR, Mar 13: The flying squad and police teams of the Election Commission have seized huge amount of cash, arms and ammunition from various checkpoints in Capital Complex on Tuesday night. The seizure list include cash amount of more than Rs. 15 lakh, eight rifles/guns, 15 live rounds and 20 local doas, informed Capital SP Tumme Amo. The seized arms and ammunition were deposited at Police Station, he said, adding that many posters and banners defacing the town/public properties were also removed. Meanwhile, State Chief Electoral Officer (CEO) Kaling Tayeng on Wednesday said that appropriate measures are being put in place to check such kinds of illegal transaction and cash movements. “Due to high seizure records during the last election, Arunachal Pradesh has been identified as highly expenditure sensitive,” said Tayeng at a meeting, which was convened here on Wednesday to discuss various matters relating to income tax surveillance during the forthcoming election. 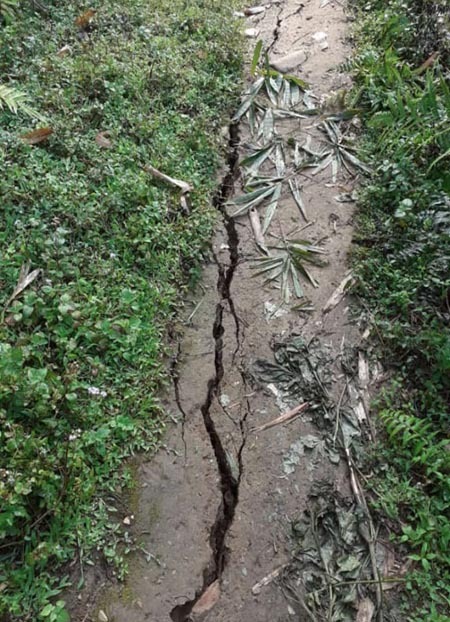 Discussions were also held to evaluate the sensitive areas so that strategies can be worked out for better management as well as to share the standard operating procedures prepared by the investigation directorate with other departments in the field, Tayeng said. “Any seizure of Rs 10 Lakh and above should invariably be informed to the income tax team, which will be stationed at various locations of Arunachal Pradesh,” said Additional Director of Income Tax (Investigation), Guwahati Mridul Kumar Das. Das, who also is the Nodal Officer (Income Tax) for North East India, said that a Central Control Room of Income Tax has already been activated at Civil Secretariat here, and Income tax officials from Guwahati would join the centre on Thursday. He further informed that the Directorate has also activated Air Intelligence Units at all airports and would monitor movement of cash or valuables. The IT officials said that the police, the flying squads and the static surveillance teams being the first contact points with the public should conduct proper checking and immediately report on seizures of amount above Rs 10 lakhs for verification by Income Tax Department. The Income Tax department has deployed 116 additional officials across seven Northeastern states, including Arunachal Pradesh to monitor election expenditure of candidates and flow of black money during the poll process, PTI reported.